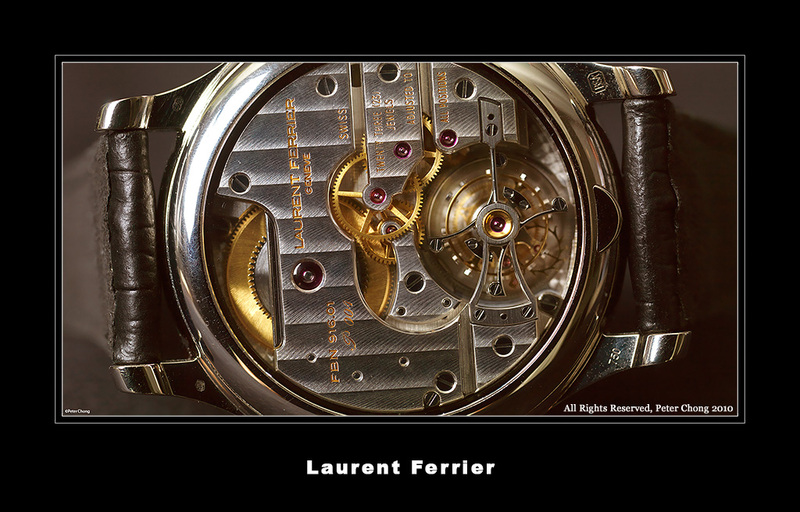 Laurent Ferrier...the first offering from this doyen of traditional watchmaking. 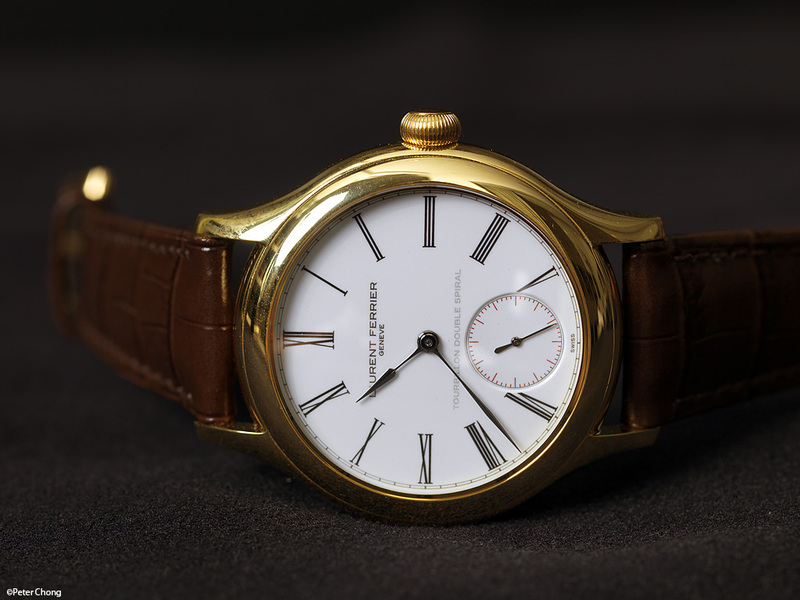 Laurent used to work within the studios of Patek Philippe, and this year, he introduced a landmark piece bearing his name on the dial. 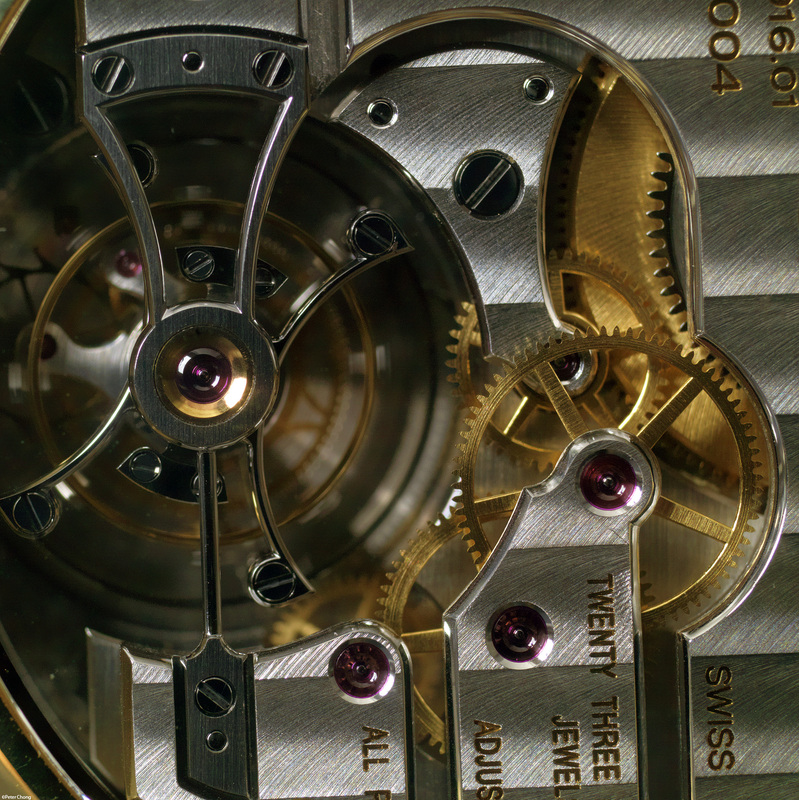 The Gallet Tourbillon is a masterpiece of watchmaking. Totally traditional, fully classical in design, layout and finish. 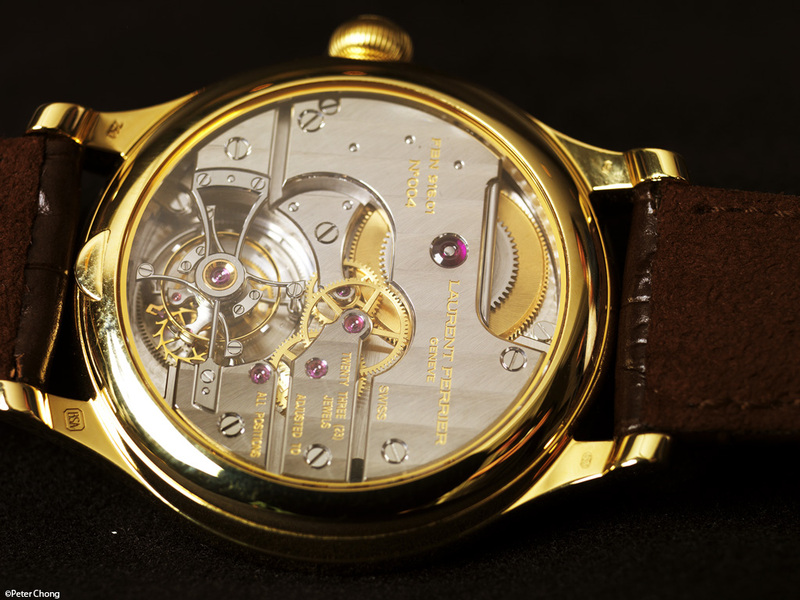 The owner can request to have the words "Tourbillon Double Spirale" removed if he wishes, and frankly, I think the watch looks better without declaring its technical specifications. 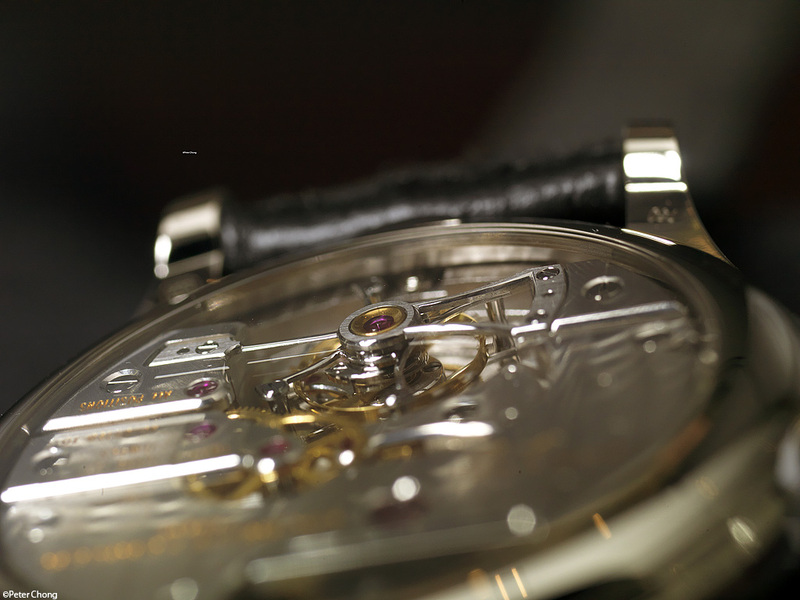 Note the click, designed and finished beautifully. 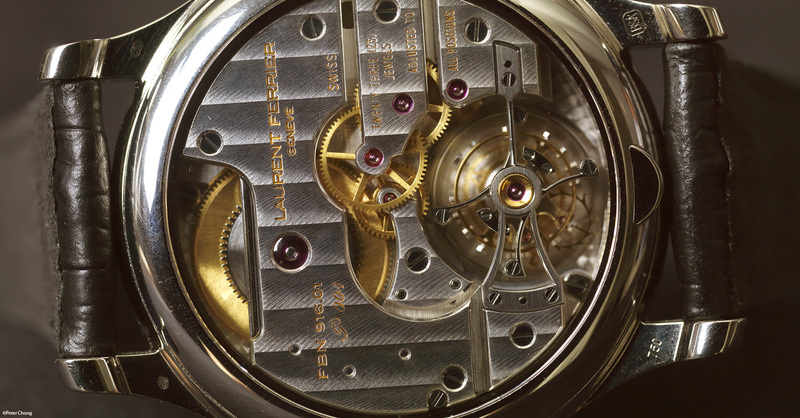 The only watches I can see with this level of finish and attention to detail are the works of Philippe Dufour. Detail of the tourbillon cage and the bridge. Note the single arm on one side of the bridge. 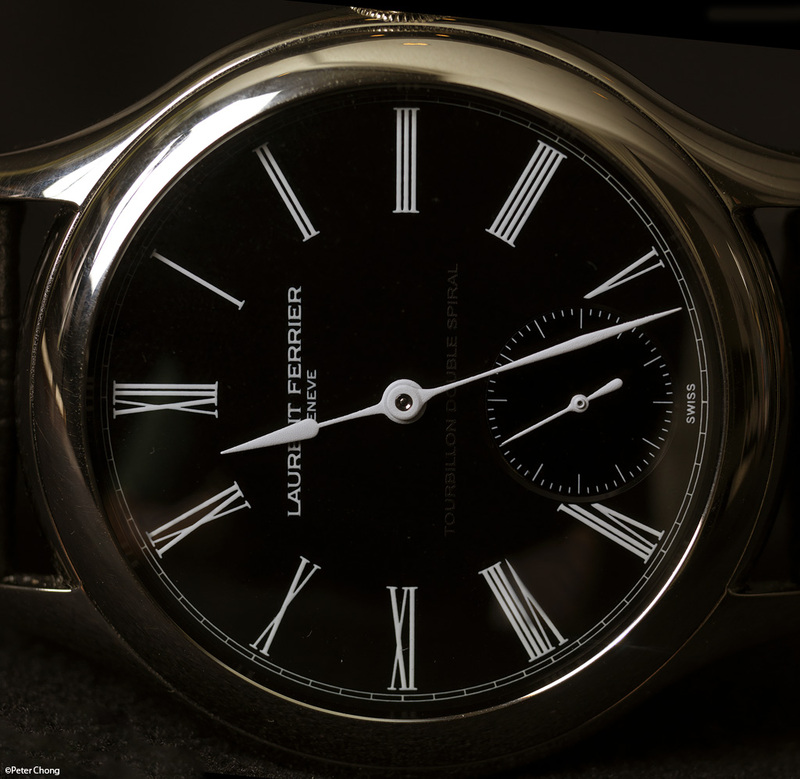 This is executed in the original Patek style...rounded steel, high gloss black polished. Perfect!